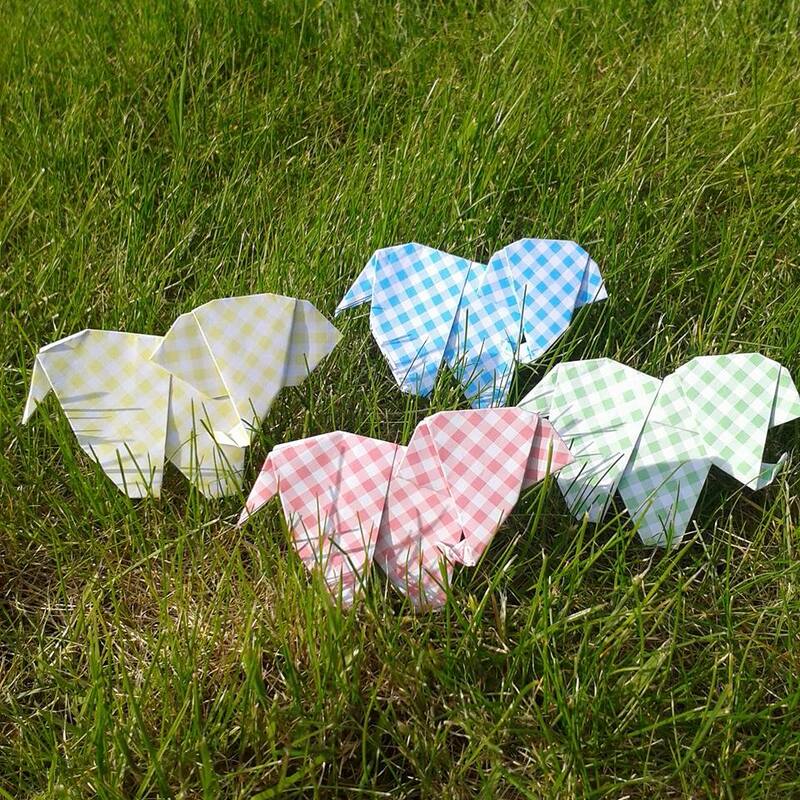 As well as stock, I’ve been playing with my new origami paper – making these gorgeous gingham elephants! I’m thinking they’ll make lovely greetings cards – what do you reckon? What other things do you think I could use them for? Last but not least – I’ve booked a summer fete for later in the year. It’s a local affair for a good cause; my stall fee went straight to the hosts Just Giving page for SWAN – syndromes without a name, supporting undiagnosed children. It’s on July 24th at The Elgar Centre in Northampton, more details on their Facebook page. This entry was posted in Craft, Craft fairs, Notebooks, Origami, Paper, Stationery and tagged Bookbinding, Craft, Craft Fair, Handmade, Northampton, Notebooks, Origami, Paper craft. Bookmark the permalink. Post a comment or leave a trackback: Trackback URL.